Euro Deli began its gourmet journey in 1991, and has since been established as a leading non-halal meat processing and sausage manufacturing company in Malaysia. 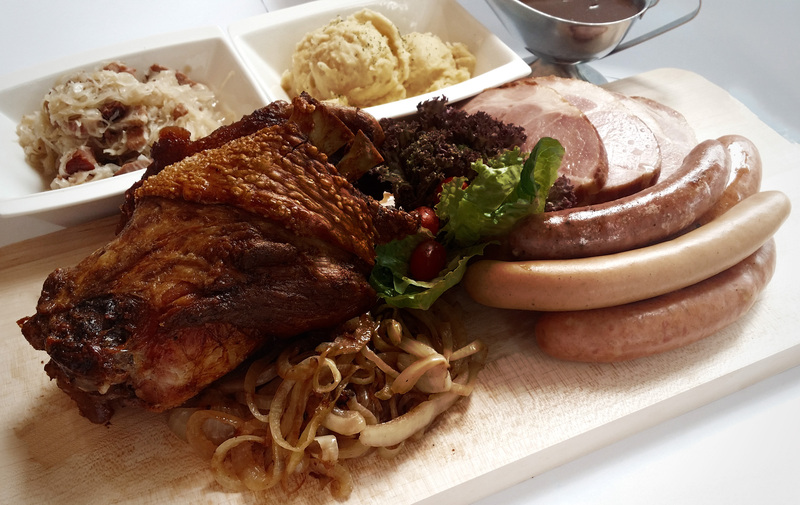 Its signature Swiss-German specialities are imported and also freshly produced in the local factory and consist of over 100 varieties of mouthwatering sausages and ham. Today, the tantalising range of quality Euro Deli products are readily found in supermarkets and hypermarket chain stores all over the country, namely Cold Storage, Giant and AEON Jusco. Catering to the many demands for authentic European food prepared in the traditional style, Euro Deli opened its first restaurant, Euro Deli Shop in 1997 which is now known as Euro Deli Restaurant located in Damansara Kim. In 2008, Euro Deli was awarded with ISO 22000:2005 and HACCP certification, further ensuring that the company’s products and services are of the finest quality available. Euro Deli is now affectionately known as “The Sausage King“, a term rewardingly coined by the local press in accordance to its heavenly rich concoctions of quintessence European delicacies.